HMD Global today introduced its latest mid-range Android smartphone at an event in China. The new Nokia 7 is positioned between the company’s Nokia 6 and Nokia 8 smartphones. The Nokia 7 boasts a premium build using 7000 Series aluminum with diamond cut edges and 3D Corning Gorilla Glass at the back. It features a 5.2-inch 1080 x 1920 Full HD display, with 2.5D Corning Gorilla Glass 3 on top. The smartphone is powered by Qualcomm’s mid-range 14nm Snapdragon 630 processor, clocked at 2.2 GHz. In terms of memory, the smartphone comes in 4GB and 6GB RAM variants, both featuring 64GB of eMMC 5.1 internal storage. Like most modern mid-range Android smartphones, the Nokia 7 uses a Hybrid Dual SIM configuration, which means you will not be able to use two SIM cards and expand the memory at the same time. At the rear, Nokia 7 features an impressive 16-megapixel shooter paired with an f/1.8 aperture ZEISS lens and a dual-tone LED flash. For taking selfies, the handset offers a 5-megapixel snapper on the front, offering an 84-degree field-of-view and large 1.4um pixel size. The fingerprint sensor, unlike other Nokia-branded Android smartphones released so far, is placed below the rear camera. Connectivity features offered by the Nokia 7 include Wi-Fi 802.11 a/b/g/n/ac dual-band, Bluetooth 5.0 Low Energy, USB Type-C, GPS with A-GPS, GLONASS, and 4G LTE. Keeping the lights on will be a 3000mAh unit with support for fast charging. The smartphone will be shipping the Android 7.1.2 Nougat operating system out of the box, but HMD Global has promised an upgrade to Android 8.0 Oreo. Similar to the rest of the HMD lineup, we expect the Nokia 7 to receive the Oreo update before the end of the year. It gets the same Bothie feature that debuted with the Nokia 8. You also get Nokia OZO Audio, an advanced spatial audio technology. 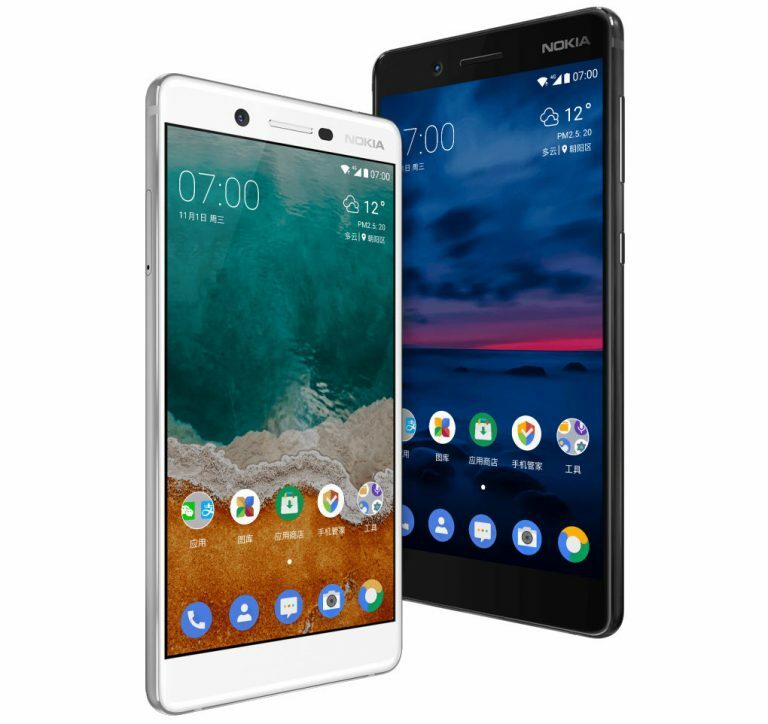 The Nokia 7 has been priced at 2,499 yuan ($376) in China for the 4GB RAM version, while the 6GB RAM version has been priced at 2,699 yuan ($406). The smartphone is now available for pre-order on leading Chinese online stores and is expected to go on sale from October 24th onwards in Gloss Black and Matt White colors. What do you think of the Nokia 7? Do you think it has what it takes to be a popular mid-range device?